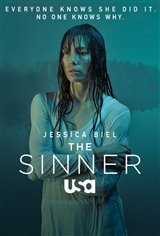 Season one follows a young mother (Jessica Biel) who commits a shocking act of murder in a public place. She is just as horrified as everyone else, and she has no idea why she did it. Detective Ambrose (Bill Pullman) leads the investigation and has to figure out the "why" in this crime thriller.